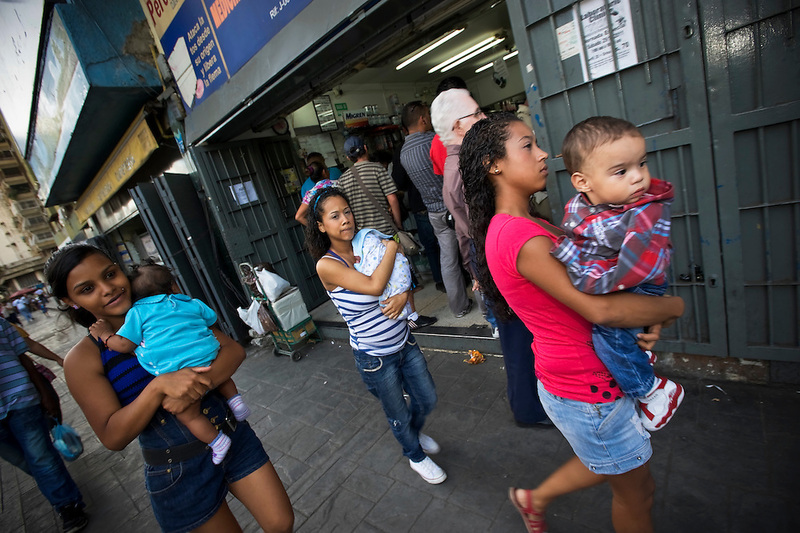 Teenage mothers, Diovile, Yanaifre and Keisy, walk with their babies to buy diapers in a slum in Caracas, Venezuela. Venezuela has the highest rate of teenage pregnancies in Latin America. 26 percent of babies are born to underage mothers.